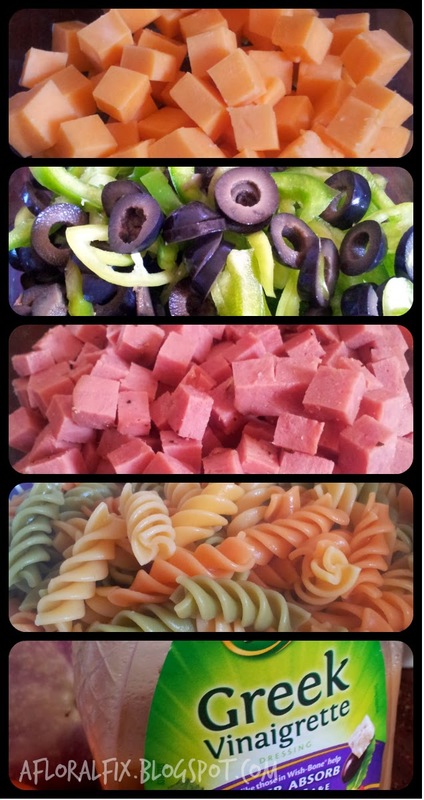 Made tri-color Rotini Pasta Salad. For my vegan friends just replace the meat + cheese with more veggies. 1. Cook the rotini according to box instructions. Drain and pat dry. 2. Combine all the ingredients in a big bowl and add your greek vinaigrette. 3. Let it marinate in refrigerator for 1 hour. Tip: This full recipe will give you a big batch. 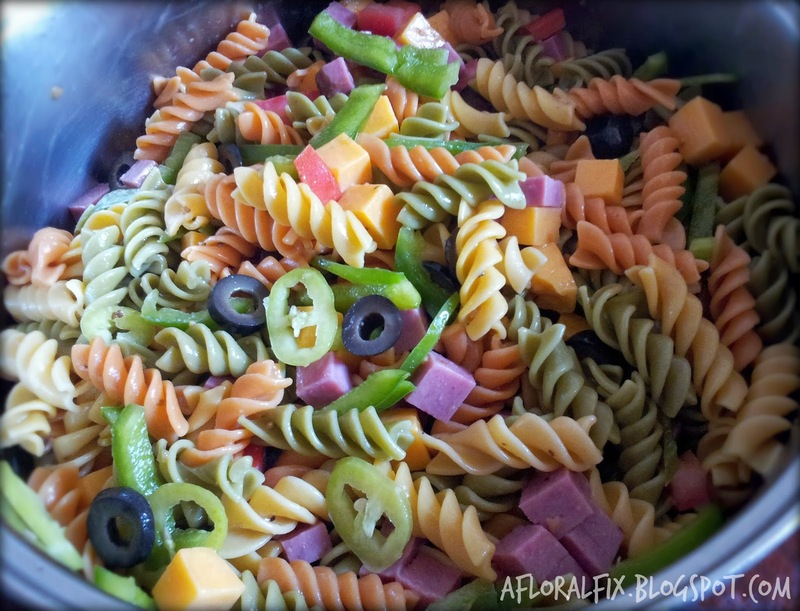 Make on sunday and put into 5 small plastic containers marked Monday-Friday. You've got yourself a weeks meal!